A BRITISH former rock star who was jailed for a murder he did not commit has launched a €5.2 million lawsuit against the Spanish government. Gary Owens, 56, spent 30 months in high security Spanish prisons after being arrested in Tenerife with wife Jayne, 50, in 1991. The couple were held in connection with death of Norwegian nightclub owner Torbjorn Heta, whose body was found at the bottom of a Marbella well. 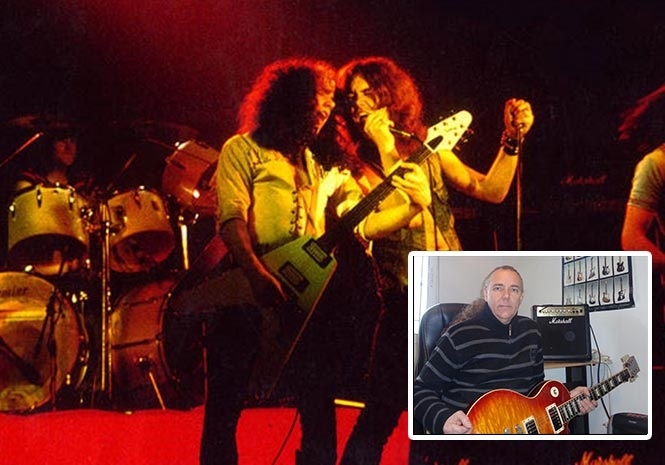 And the guitarist, whose band A II Z played with Black Sabbath and Iron Maiden after hitting the British heavy metal charts in the early 1980s, is now suing for damages. His lawyer Luis Tatay, based in Valencia, revealed that a claim has been filed with the Ministry of Justice in Madrid. He said: “Mr Owens has suffered more than 25 years under a criminal investigation, two-and-a-half years in prison and being extradited from the UK to Spain. It comes after the Stockport-born rocker was freed without being charged in 1993 before returning to the UK in 1995 on the advice of the British Embassy in Madrid. He moved to Scunthorpe in Lincolnshire where he set up an internet business, a cyber cafe and a publishing firm. But in 2008 a European Arrest Warrant was issued in his name and he was taken to London before being extradited to Spain the following year after unsuccessful appeals to the High Court, the House of Lords and the Supreme Court. He was again released from prison three months later after Jayne – with who he has a 21-year-old son – paid €6,000. He remained on bail until September 2016, when he was told there would be no trial and was eventually refunded the money. Speaking to the Euro Weekly News last year, Mr Owens said: “I want to know how the Spanish justice system can destroy my life, breaking its own laws with its legal representatives committing crimes to falsely imprison me? “For 25 years I have been accused of a crime, that there was no evidence for, I have never been charged, and I have been falsely imprisoned, my music career has been ruined and my businesses destroyed. Currently living in rural Malaga, he believes that the killing was orchestrated by British drugs gangs who had him set up.